As you child enters puberty and adolescence, it can be a rather difficult time for them adjusting to all the changes occurring with their hormones, physically, and emotionally. This is the time when many teens start to test the limits of what they will be allowed to “get away with” in regards to parental authority and household rules. It is not uncommon for parents to find themselves in a situation where they no longer know what to do or how to deal with their teen. Fortunately, there is help available for both single parents and couples from Toronto therapist, Ellen Starr. 1. How to avoid becoming a “nagging” parent. 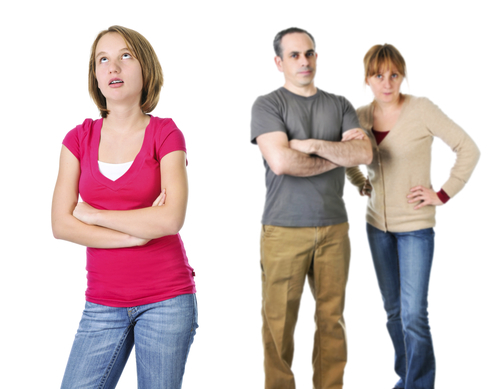 Many parents find they have to repeat themselves constantly or “nag” their teen to get a response. However, this can further put a wedge between parents and the teen and cause them to become even more defiant. 2. How to tie good behaviour with privileges. Teens often assume having a smartphone, gaming systems, cable TV, and being able to drive the family care are entitlements. However, they do need to be reminded in a constructive and productive manner these are privileges they earn when they follow the household rules and are good, but can easily be taken away. 3. Learning how to develop a strategy for dealing with emotional situations. When confronting your teen after they acted out in a negative manner, it is not uncommon for them to be angry, and in turn make you angry. Having a preplanned strategy in place can help keep the emotions of your anger out of the situation. 4. Learning how to effectively enforce punishments as consequences of bad behaviours. When your teen does something wrong and needs to be punished, you need to know how to effectively enforce the punishment and stick with it. Far too often, parents make idle threats of punishments, but never follow through, which has the opposite effect and reinforces the bad behaviour. 5. How to teach your teen to develop effective problem solving/coping skills. Sometimes the underlying cause for their behaviour is the result of them not know how to solve a problem or cope with a specific situation. You need to be able to teach and guide your teen through these situations by offering support, but at the same time let them know their behaviour is not going to resolve their problems. 6. Learning how to recognize and praise your teen for good behaviours. Many parents forget to thank or praise their teens when they are exhibiting good behaviours. This positive reinforcement can help provide direction and encourage further good things from your teen. To learn more how you can develop these skills and others to help you deal with your defiant teen, please feel free to contact me, Ellen Starr at 416-488-3102 to schedule a consultation appointment today!